The best video editing software to create stunning videos with full-featured editing tools and impressive effects. How to Access and Use Filmstocks? Now, the orginal Filmora Effects Store is Filmstocks, which will not only provide users with Filmora effects, but also offer tons of video effects (AE effects), images, stock footage and royalty-free music and sound effects. 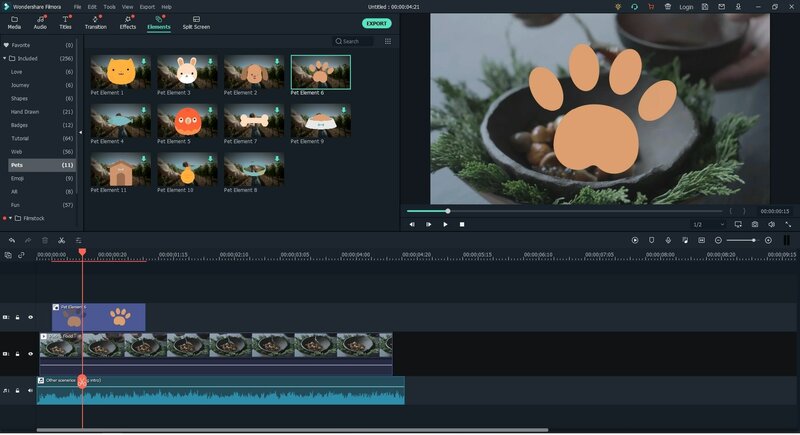 You can download and use these video effects, images, royalty-free music and sound effects, stock footage in Filmora Video Editor (v9.1 or above version) and Adobe After Effects completely. What's more, Filmstocks provide users with more subscription plan to satisfy different needs. In this article, we'll show you how to register, login, access, and apply effects in Filmstocks with your Filmora Video Editor. To log in to the Filmstocks, you must first create an account ID (Wondershare ID), This account ID can be created with your email account directly. If you already have an account ID for registering Filmora Video Editor, then you can use the same account to log in from either the Filmstocks or from inside Filmora Video Editor. 2. Click the "Login" icon in the top-right corner and you'll see a new page that require you to type the account and password. 3. 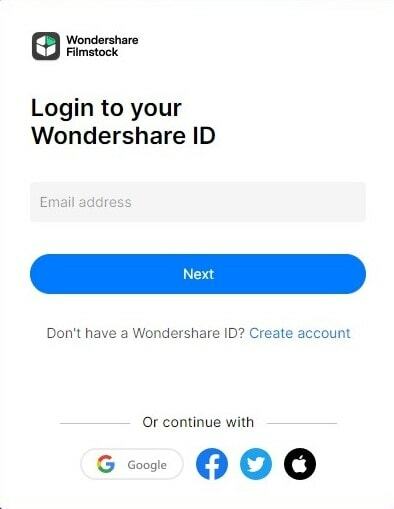 If you don't have an account ID (Wondershare ID), you can choose "Create one now" or directly login it with your Facebook, Google or Twitter account; If you already have an account ID, just directly type the email and password in the right position. Then click "Login". If you have downloaded Filmora Video Editor or Filmora Video Editor for Mac on your computer, you can also login to the account ID and access to Filmstocks directly. 1. Open Filmora Video Editor, and click the "Account" icon. 2. Enter your account ID to login in the pop-up window. 3. Click on the "Download" icon to access to the Filmstocks directly. 4. 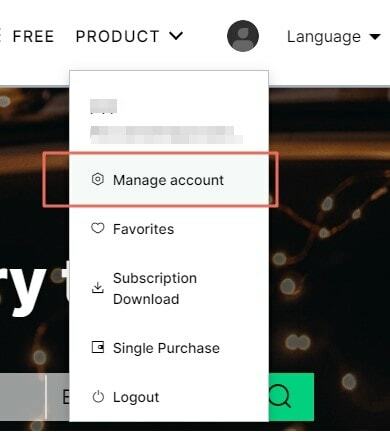 Now, you can check your account information like order history, favorite media, downloaded assets, and account settings by clicking "Manage account". After login to the account ID, and enter to the Filmstocks page, you can click "Plan" button in the top-right corner, and then, you'll get 2 different subscription plans: Standard and Premium. Here, you can choose a plan for subscription and then, you can back to the main page and explor the effects you need as you like. Note: If you have subscribed in the original Effects Store, then you have the same right of Filmstocks Standard Plan. That means, you don't need to subscribe the Filmstocks again unless you want to download the assets that belongs to Premium Plan. 3 How to Download Effects? 1. If you're access to Filmstocks through Filmora Video Editor (v 9.1 or above), then you'll be directly taken to the page of the default video effects collection for Filmora Video Editor as below. 2. You can filter and sort the effects through "Most Recent", "Most Popular" or thought "Category". 3. Click "Download Now" button to add the pack to your "My Effects" list. Simply click "Install" button to complete the process. You can find all effects from "Manage account" > "Download"
4 How to Get Free Effects? 1. Filter the effect packs for "Free" in the Filmstocks. 2. Locate and click "Free Download" button to get the free effects. Note: To use the effect packs, you need to ensure the Filmora Video Editor (9.1 or above) is downloaded and installed on your Windows or Mac computer. If you don't download it, just click the below icon to get it now. 5 How Can I Find My Effects in Filmora Video Editor? 1. Launch Filmora Video Editor and choose "New Project". 2. Login to your account ID, and then new effects will be sorted into the correct sections of the program (Music, Text, Transitions, Filmters, Elements, Overlays, etc), and marked with a red dot. 3. If you want to check all effects in the Filmora Video Editor, you can click the "Account" icon in the program, and choose "My Effects", then, all downloaded and installed effects will be shown. 6 How to Cancel Subscription? 1. Login to the Filmstock's "Manage accounts" and go to "My Profile" by clicking the account icon. 2. In the overview window, you can check your subscription details and other account info. Here, you can click "Cancel Subscription" link if you don't want to continue subscribe the Filmstocks. Or you can directly choose "Order history" to check all your plans. And click "Cancel Subscription" for any plan you don't want. Now, your subscription has already been canceled and you can check it by clicking "Submit & Unsubscribe". Note: cancelling your subscription will not retroactively refund subscription payments, and previously charged subscription fees cannot be prorated based on cancellation date. 1. Built-in effects in the Filmora Video Editor (including transitions, text, titles, filters, overlays, sound effects, etc.) can be used for commercial use only if you purchase a business license. 2. All music tracks in Filmora Video Editor are only for personal use, and may not be used in any way whatsoever in which you charge money. 3. Add-on Effects sold in Fimstocks, including video effects, video footage, text & title effects, filters, music, sound effects, images and photos, etc. 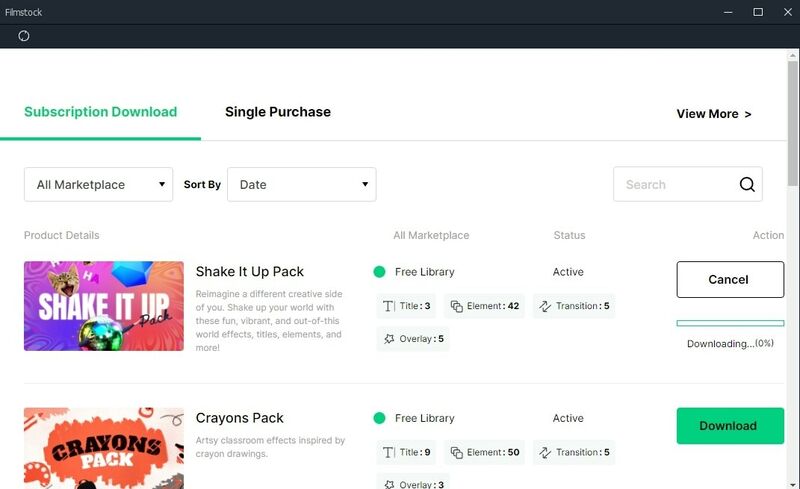 can be used for commercial only if you purchase a Standard or Premium library. Burn home movies and videos in any format to DVD quickly and easily. iSkysoft PDF Editor 6 Professional for Windows helps you edit, convert, create, sign and share PDF in an easy way.